With the festive season hovering in the air, starting with the Durga Puja, Diwali, and extending to Christmas, looking fit and stylish obviously gets priority. Inevitably, it is also a time when an assembly line of ads appear promising to deliver that elusive ideal figure in a jiffy. Crash diets crunches at the gym, you name it. Every year, numerous fitness fads emerge and disappear to make way for new ones next year. But as more and more people rush to the gym to get in shape in time to be able to flaunt the new clothes confidently, doctors caution about the danger of equating good health with the loss of weight. It is important to understand that being fit and staying so is a long-term commitment and when rushed, it can cause major health problems. Starting to do strenuous exercise suddenly over a short period of time can lead to stress injuries on muscles and the spine – especially on the lower back, neck, and shoulders. If one wants to be fit and healthy without going to the gym, doctors recommend running or swimming instead of infrequent exercise and crash diets. A quick search on the internet reveals a long list of ‘tips’ on how to lose weight in a week, a lot of which mostly includes advice to follow a high protein-low carbohydrate diet, do strength training, and to drink water more before having a meal. Dr. A. Basu, professor of surgery at SSKM Hospital, Kolkata, emphasises the need for healthy and sustainable weight loss. While following a two-week crash diet can indeed induce weight loss, building muscle mass is impossible within that time frame. Any crash diet usually follows a simple formula of introducing a lot of roughage into one’s diet to suppress hunger pangs. This, when coupled with even infrequent exercise, can result in weight loss, but it is ultimately unsustainable. Gyms usually have different festive season offers to entice prospective members, which usually include a discount on membership. One gym in Kolkata has a Durga Pujo offer of 20 percent off on new memberships. Many new members join the gym right before the festive season, and then quit after a few weeks or months. Although when done properly, it can become a way to achieve optimum fitness, the important part is maintaining a routine of regular exercise. The problem remains with crash diets is that it is done without supervision. Dr Sumanta Kumar Ghosh, head of department, surgery, at Joka ESI Hospital corroborates Basu’s view that a person’s long-term physiology is affected by crash diets and intense exercise. Short-term weight loss targets are certainly achievable with the use of fitness fads such as strict diets that induce ketosis by extreme carbohydrate deprivation. Such diets, by severely limiting carbohydrates in a diet, cause high rates of fat metabolisation, which causes immediately visible weight loss. “Slimming centres that offer short-term weight loss programmes commit to what is initially achievable – discernible anatomical changes – which is detrimental to health in the long term,” Ghosh adds . Going to centres without proper trainers can in fact be detrimental to the cause itself. An orthopedic surgeon warns that such quick-fix slimming centres might simply help build particular muscles which add to aesthetic beauty while neglecting other important ones, thereby causing a discrepancy in muscle build-up. This creates issue in the normal, smooth coordination of human muscles in day to day movement. He emphasises the need for more comprehensive regimens at gyms that include proper diet and supervision by properly trained personal trainers whose goal is not to focus on aesthetics only but rather to improve overall health and wellbeing of the client over a long term. Many responsible gyms are trying to promote a long-term, healthy lifestyle for its members. With the help of nutritionists and personal trainers, people can achieve steady weight loss without causing detrimental health issues. Long-term exercise can help people work on achieving a wholesome and healthy body. 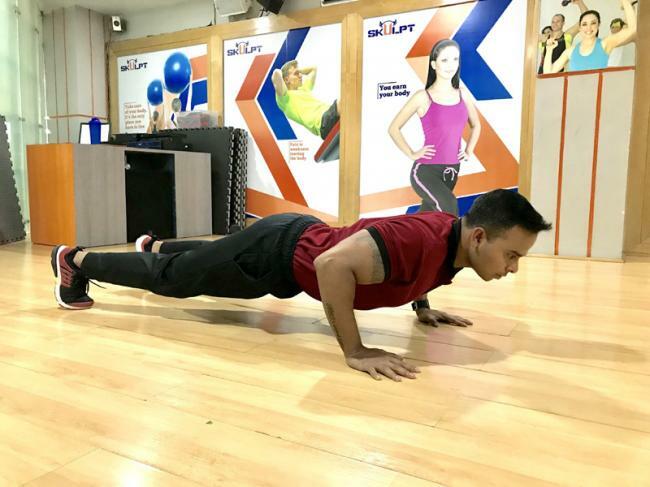 Skulpt Gym in Kolkata recommends gradually easing the client into the gym-going habit, advising easy beginner exercises like brisk walking, squats, push ups, and lunges in order to get the body used to working out. 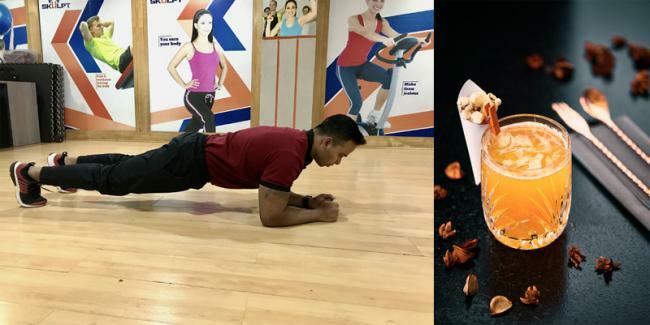 Offering customised diet-charts on recommendation by the in-house nutritionist that work in tandem with exercises supervised by physical trainers, they are trying to encourage long-term sustainable fitness goals. While many people want to work on mobility exercises, others want to lose weight, and still others want to change the body composition – like replace some percentage of body fat with muscle mass. Ultimately, fitness is a long-term process. While fitness fads may give immediate results, the long term health benefits that come with following a proper diet and supervised exercise regimen are the real deal.